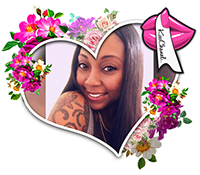 Content of KissChanel.com are ownership of Chanel Wright & copyrighted. This website is not recommended for deadbeat dads, anyone professing an irrational fear of sharks, and people over the age of 120. Welcome to KissChanel.com! For over 15 years I've kept this website as my baby. My name is Chanel, a focus driven Web Developer & Blogger that has a passion for positive vibes, anything computer related, and being awesome. As a Brooklyn native my work reflects unique structure, efficiency & a speedy outcome. I have an investigative personality, so I get a thrill off of challenges. Profound is the best way to describe my inner thoughts. I love the feeling of expressing myself & embedding thought provoking journal entries on my site. I’m not afraid to expose my inner flaws & past experiences because I’m human just like you. For the past 15 years, I’ve been entertaining many people with my blogs posts about life, love and relationships. You should check them out.